In just a few short weeks, the kids will be back in the classroom. Which means one thing… back to school shopping. There will be hunts to find the cutest notebook, quests for the perfect pencils, and searches for a superb lunch box. As the cart piles high with supplies, so can the dollar signs. 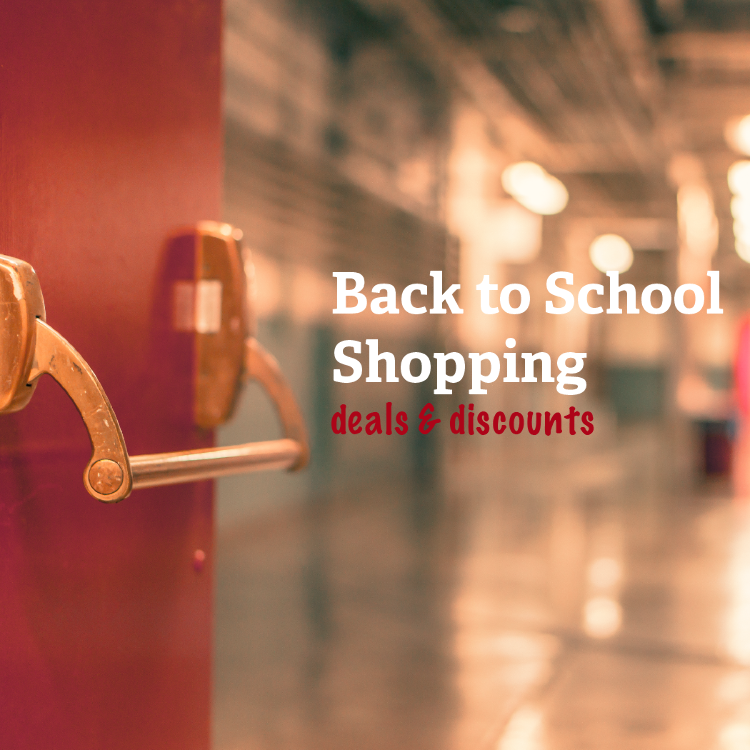 Here are some deals and discount resources to stay on budget this back to school season. PriceGrabber.com is a great resource for snagging supplies at the best possible price. On their website, you can search for items and the site will let you know which store has the best deal. They also have a mobile app to make on-the-go deal hunting a breeze. The popular budgeting blog, Pocket Your Dollars, publishes a weekly article titled Back to School Supply Deals. It includes an up to date price comparison chart so that you can scope out the best deals on individual items. This list is updated weekly, so check back often for new deals. There are also a number of military discounts that will come in clutch this season. Cross off items on your shopping list at Michael’s or CVS. Michael’s offers a 15% discount, and CVS, 20%. Both retailers offer this discount to active duty service members, dependents, retirees, veterans, and reservists. If you need to purchase some electronics, Dell and Radio Shack offer 10% off to active duty service members. Lastly, don’t forget about the Exchange price match policy. Both the Navy Exchange and the Marine Corps Exchange will match the regular shelf price or advertised price of a local competitor. So if you see something on sale, but would rather pick it up at the exchange, bring in the ad and cash in on that deal. Know of any other discounts? Leave a comment to let us know!